Click the button below to add the DSA Sublimated Keysets to your wish list. DSA sublimated sets are printed and shipped weekly per order demand. These sets are not in inventory. Color choices refer to the keycap color not the legend color. Legends are black. 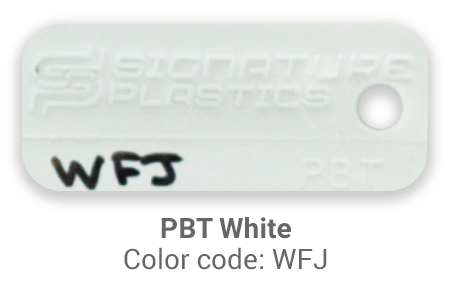 All sublimated keycaps are molded in PBT. ISO Base Set: 6 - 1 space. ISO Modifier Set: 3 - 1 space; 2 - 1.25 space; 1 - "L" shape. Alternate Kit: 11 - 1 space; 2 - 1.25 space; 7 - 1.5 space; 3 - 1.75 space; 1 - 2.25 space (NOTE: At this time, the 1.75 stepped CAPS and CTRL are not included in this set). Ergodox Base: 43 - 1 space; 2 - 1 space deep dish; 1 - 2 space. Ergodox Modifier: 41 - 1 space; 18 - 1.5 space; 6 - 2 space. This is my first aftermarket key cap set, so I can't really compare to other options out there. They feel very nice, much better than stock key caps. The texture is slightly rough on the tops, and the printing looks very crisp. It also seems to attract less grease and stay cleaner than my stock key caps (which have a smoother texture), either because the texture hides it well, or due to a property of PBT. My stock key caps would seem to get greasy within a few minutes of usage after cleaning them. Only issue with them is that costar stabiliser inserts don't seem to fit by default, so an easy fix for me was to push a bit of tape in as I inserted them. These keycaps are stunning! Great quality, and very clear printing. PMK sent me the wrong modifiers originally, but they quickly resolved the issue. Could not recommend highly enough. These are absolutely beautiful DSA keycaps. The dye sublimated legends are extremely clear, consistent and perfectly aligned. 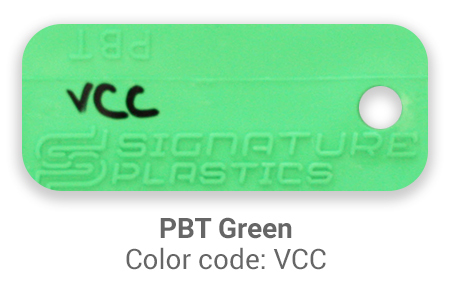 Manufacturing tolerances are exceptional with uniform PBT colors, consistent stem fit and precise height alignment when installed. No warping or irregularities of any kind. Very fast service - custom order shipped within two days. Really impressed with everything about my experience with Signature Plastics. Look no further. I have seen a lot and nothing compares to Signature Plastics. Good set. Colours look great and the quality of manufacture is impeccable. Bought these keys for my first build of a JJ40. I was very happy when they came in the mail and they were all in perfect condition painted perfectly and have a great look to them. The sample colors they give you are very accurate you will not be disappointed. Very happy with my set of keycaps. The legends are very clear and perfectly centered and the keycaps have a very nice rough texture on the top. The caps are not actually perfectly square but have a little bit of an inward curve on each side which is consistent through all the caps. While thinner than the stock PBT caps on my Vortex Vibe these caps exhibit almost no flex and feel very sturdy. Feel great, look amazing, and available in any color. I love them. I only wish is that legends were available in more than just black. I love my new keys. The colors are exactly what I wanted, every key looks perfect and every one fit their switch. My ergodox looks great! 100% perfect - the keys are gorgeous, the DSA profile is exactly what I was looking for, and SP got them to me quickly.